In the month April it’s tulip galore in the streets of Amsterdam. 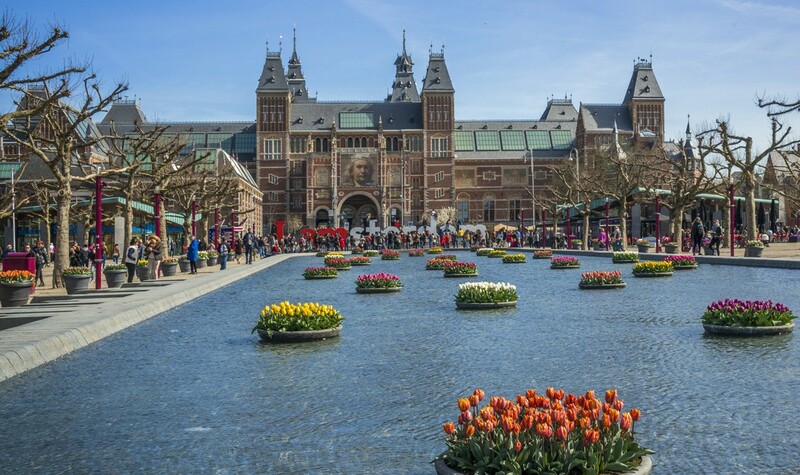 During the Tulp Festival (Tulip Festival) around 500,000 tulips will bloom, at about 60 locations and in 400 tulip varieties. There will be tulips everywhere you look! You can wait till you stumble across them, or you can do a tulip walking or biking tour. I have not yet done this route (this is the second year it’s being held), but will do so this year and update this information with some personal experiences. 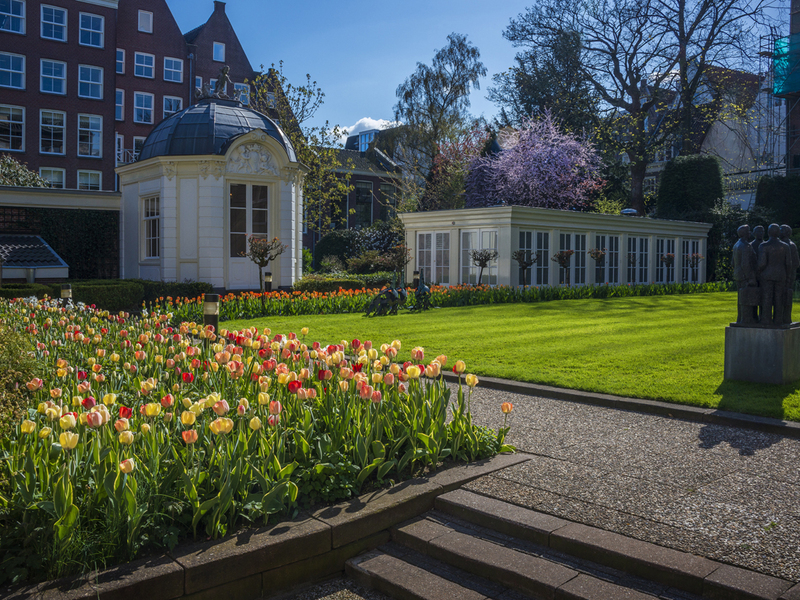 During the month of April – or as long as the tulips are in bloom – you can follow a route by foot or bike along parks and squares, lanes and canals, gardens and beds. Here you can find tulips in open ground or in beautiful big pots. 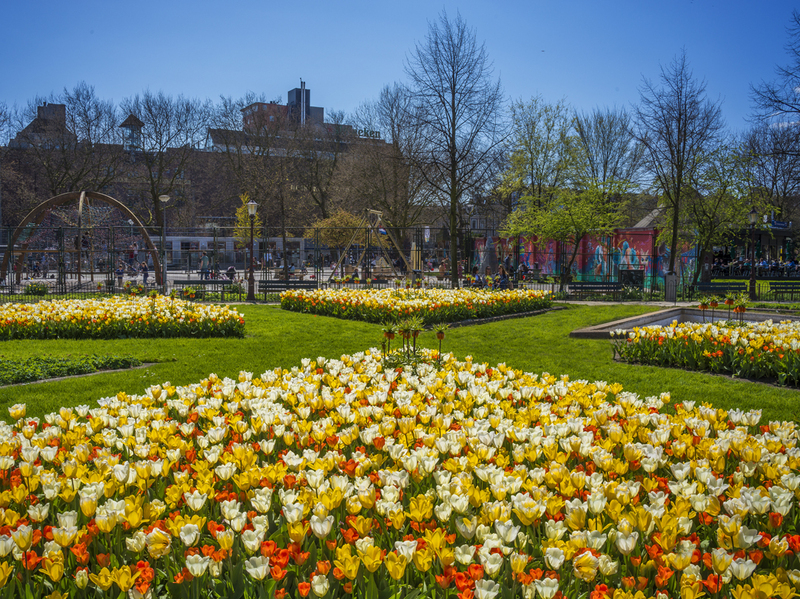 Potted tulips line the streets and squares in the centre of Amsterdam, Amsterdam North, South and East. But there are also numerous tulip bulbs planted in open ground. The potted tulips will be in bloom around April 1st, as the gardener can influence the growing process of these tulips. For the flowering period of the tulips planted directly in the soil it’s more of a waiting game to see what blooms, when and where. 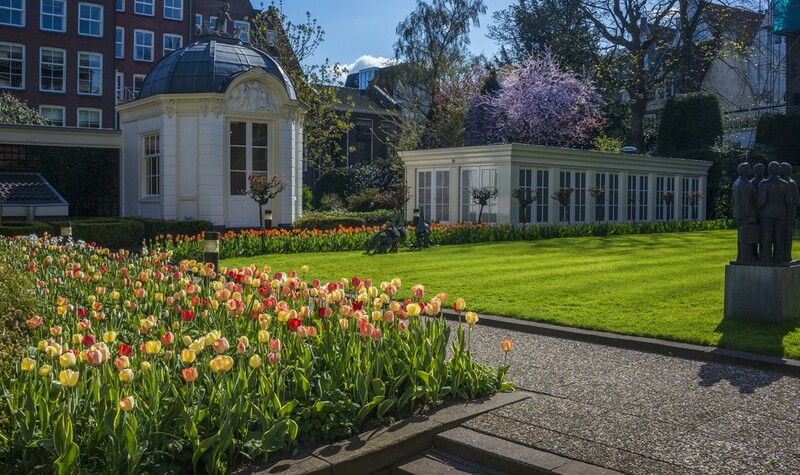 Saskia Albrecht is the founder of the Tulp Festival; garden designer and for more than ten years, together with the Museum Van Loon, organiser of the Open Garden Days in Amsterdam. 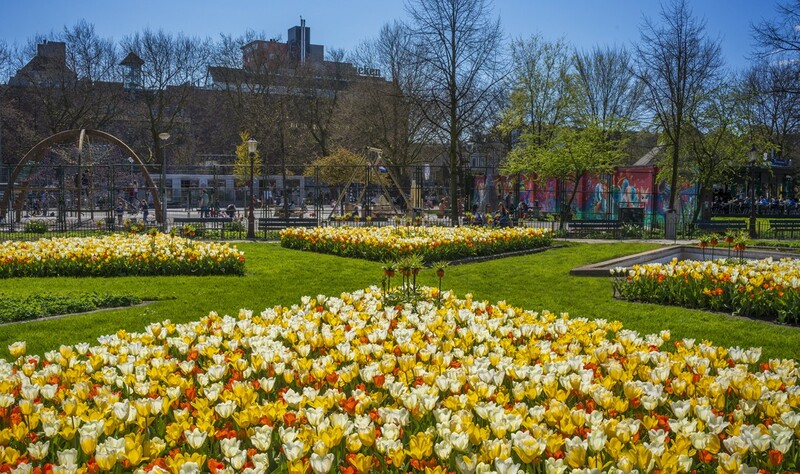 Tulp Festival is a charitable organisation with the goal of making the tulip visible in the capital once more, and eventually planting a tulip for every individual Amsterdammer. A festival guide is available for €2 at designated venues. 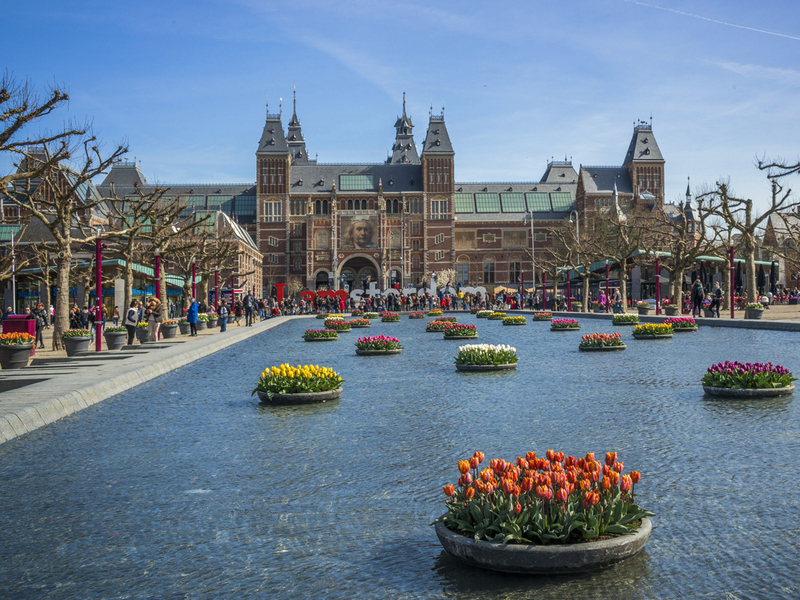 The festival guide (in Dutch or English) includes both the locations as the names of the tulip varieties. Check their website where you can purchase your copy of the guide. The festival organisation is a private initiative and a facilitator for the more than 60 locations. Therefore it is difficult to give hard facts on how conscious the event is. The festival does promote more ‘green’ in the streets of Amsterdam. That said: there are some locations that are using organically grown tulip bulbs. According to the organisers, the tulip industry as a whole is working hard to reduce the use of pesticide more and more.